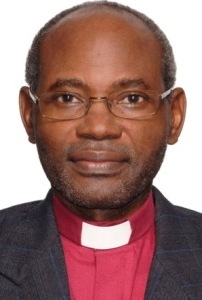 Dr Mwita Akiri is the founding bishop of the missionary Anglican Diocese of Tarime - one of the smallest in Tanzania (in geographical size and number of Christians), but fast growing. He was consecrated as Bishop of Tarime in July 2010. Prior to this, he served as the national General Secretary/Provincial Secretary of the Anglican Church of Tanzania for almost ten years. He has a PhD from Edinburgh University, Scotland (United Kingdom).